humankind faces today world wide. Her programs are inter-cultural and reach across everything that divides ... with laughter and humor, truth, beauty and goodness. She has three grown children and four amazing grandchildren. 1989 (www.skylarkpubl.com). Phyllis has conducted workshops on Anger Management, Boundary Sculpting, Protective Behaviors for Children, Stories of Women and Girls as Heroes, the Expression of Feelings, and How Acknowledgement Heals Families in England, China, Japan, and Thailand as well as the U.S. She is a lecturer and workshop creator and has not only written her own materials, but illustrated them. She has two CD’s of musical compositions, one filled with songs teaching the prevention of bullying. What motivates her to do all these creative things? 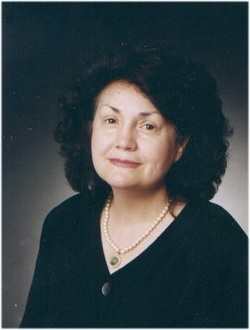 A great educator, Baha’u’llah, said, “Until women are allowed to achieve their highest possibilities, men will be unable to achieve the greatness that might be theirs.” Ms. Peterson has lived the meaning of this quote because she has risen from a childhood that not only included physical violence but childhood sexual abuse. This affected her ability to have a healthy relationship with her own children. Her search for meaning through artistic expression has created intergenerational healing and justice in her own family and has allowed her to achieve her highest possibilities. She learned how to express her anger and rage in an appropriate way, to set boundaries with those who would violate her rights and demean her as a human being. She learned to identify and express her feelings and to teach her children to do so. And most of all, she stopped the cycle of abuse in her family. She has quite a story to tell…one of hope for all parents, educators and therapists. to 6 cities in Botswana after her return trip there to “train the trainers” in teaching children 9 years old and under. Those trainers have now finished the process of training 300 counselors under the Ministry of Social Services, to spread the program to children 9 years old and under throughout the entire country of Botswana. disabilities. Each of them produced at least 5 books that were dictated to her one letter or one word at a time. She has taught arts in at least three of Rockford ’s community centers, and she has taught second and third grade students for the last 6 years in the after school program at Ellis Elementary Academy of Arts. Ten years ago, at this very school, she had to pick up used heroin needles and whiskey bottles prior to the arrival of students for their protection. Ms. Peterson presently has three books out: "Assisting the Traumatized Soul,” “Healing the Wounded Soul,” and “The Heroic Female Spirit: A Collection of Tales,” composed of stories of women and girls as heroes. She sees the need for girls to recognize that they have the same potential as boys to be heroes and to bring peace to the world as well as save the environment. In addition, two more books will be published in 2012: “Remaining Faithful to your Self, Relationships, and Your Principles, by Special Ideas" and “Seeking the Spiritual Reality of the Mentally Ill, the Physically Challenged, and the Wounded,” published by George Ronald Publishers in England. For more information, contact Ms. Phyllis K. Peterson, skylarkpp@aol.com or through www.skylarkpubl.com Ms. Peterson is a member of the Rockford Interfaith Council.